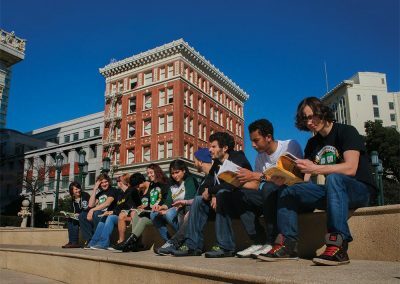 The Oaksterdam University campus is located on the north end of downtown Oakland, between downtown proper, the Lakeside, and the financial district. Only a few blocks away from City Hall, and across the street from the historic Fox Theater, Oaksterdam is in the heart of revitalized and vibrant Oakland. 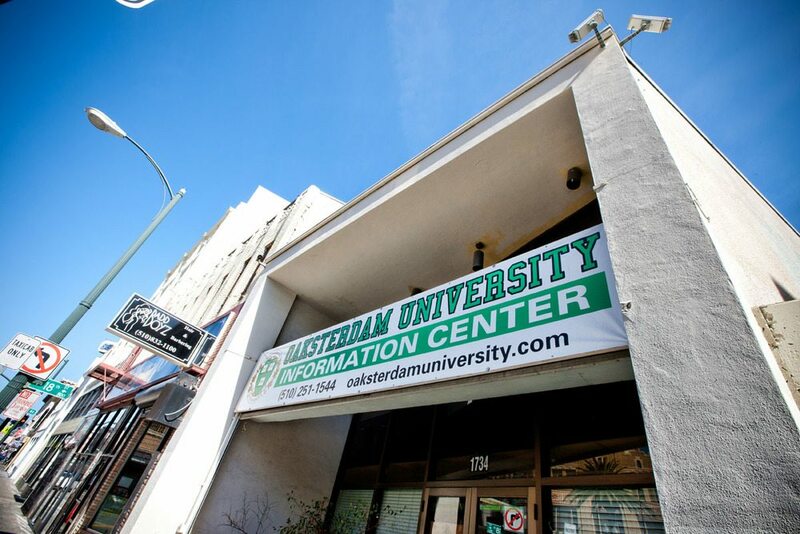 In addition to our classroom space, Oaksterdam maintains a live Horticulture lab and is home to the Cannabis and Hemp museum. The Patient ID Center (PIDC), home to the best book collection and glass collection in Oakland, issues Medical ID cards and is next to the Oaksterdam classroom. We do not offer housing accommodations, click here to learn more about local housing options. 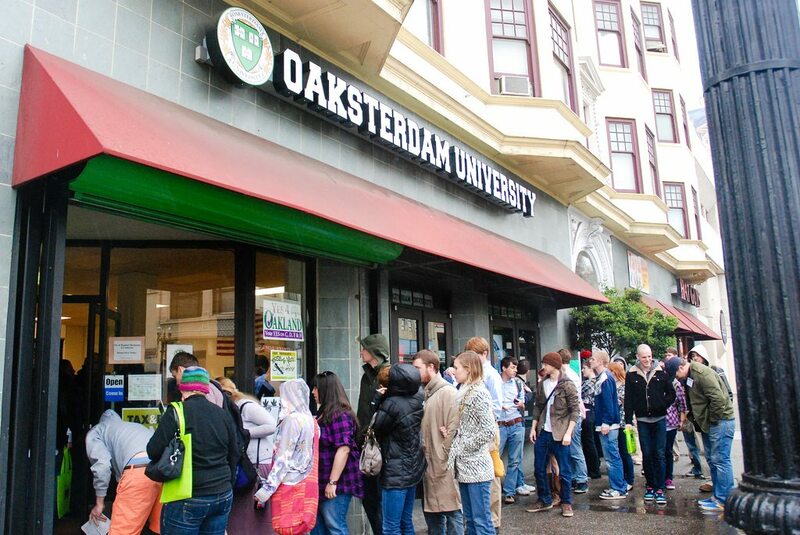 Oaksterdam is a portmanteau of “Oakland” and “Amsterdam”, the capital of the Netherlands. These were the first two cities to regulate cannabis on any level. Oaksterdam is also known as the cultural district on the north end of where downtown meets uptown in Oakland, California. This area of downtown Oakland became the safe haven for the first permitted medical cannabis dispensary location where some of the first medical cannabis was available for purchase. Then came cafes, clubs, and patient dispensaries. Founded in 1996, Oaksterdam is one of the oldest & friendliest cannabis communities in the country. Located in the Scenic Bay Area! One of the many benefits of attending classes at Oaksterdam University is having the scenic Bay Area as a backdrop to see and explore. From San Francisco to Wine country to Silicon Valley, the Bay Area has so much to see and do. 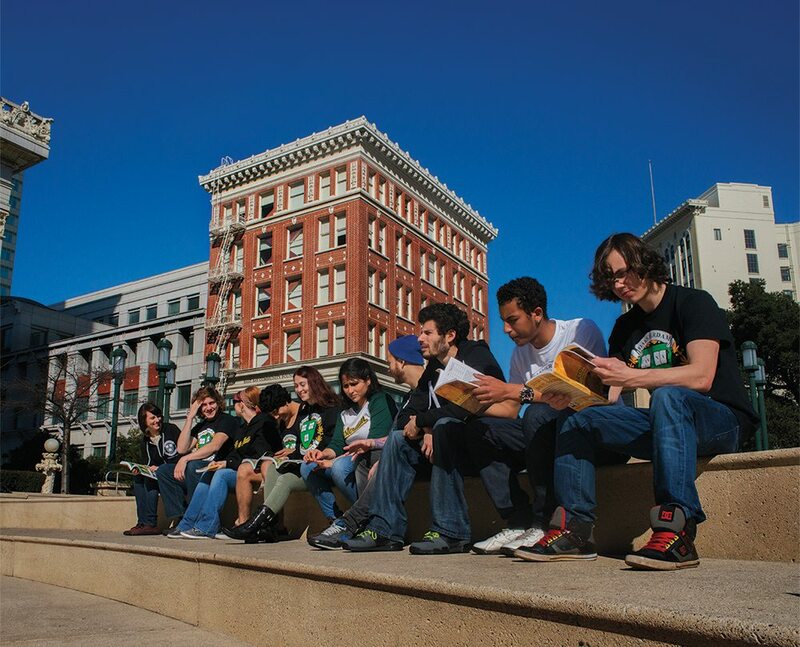 We are located next to the BART, offering convenient public transportation.